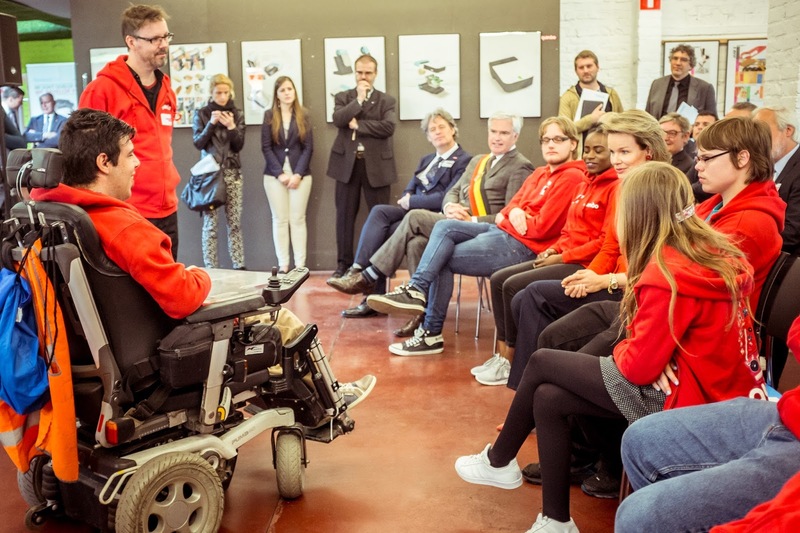 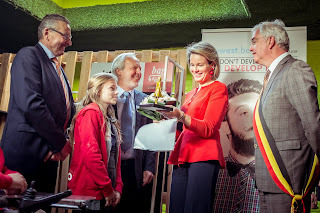 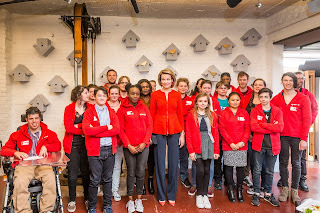 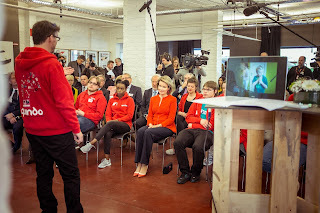 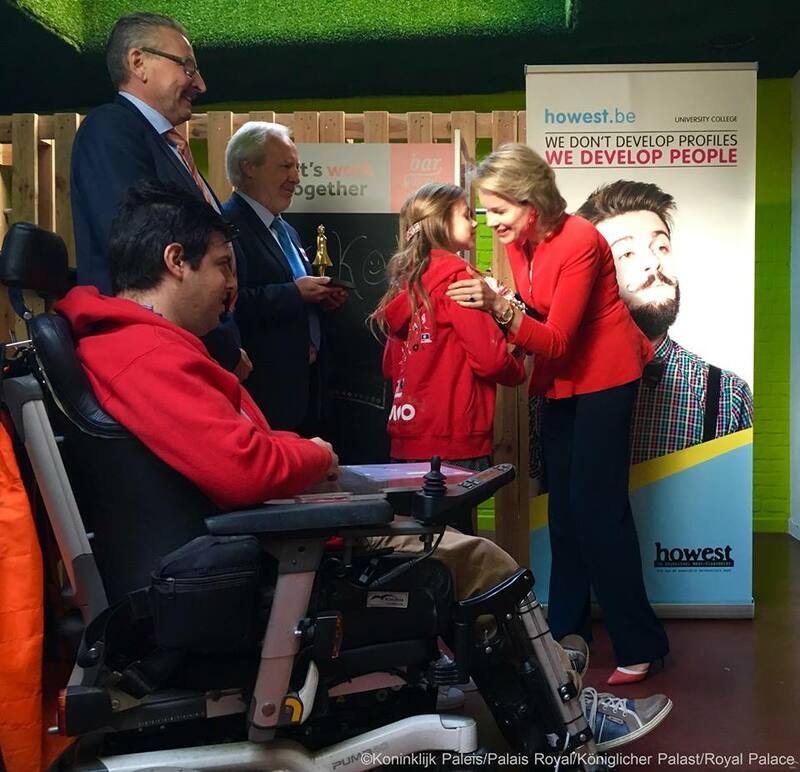 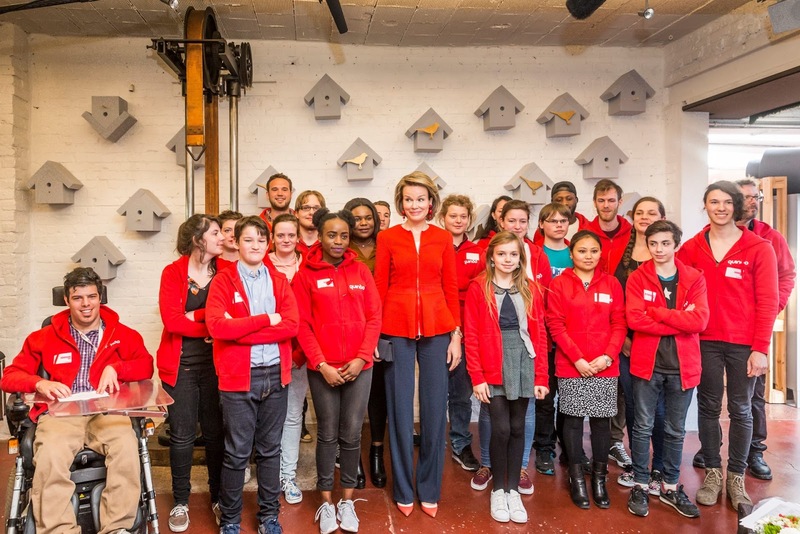 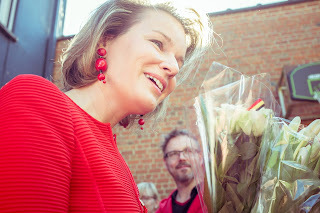 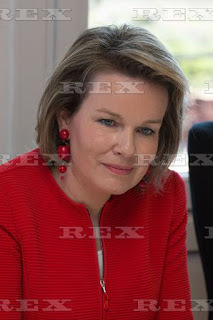 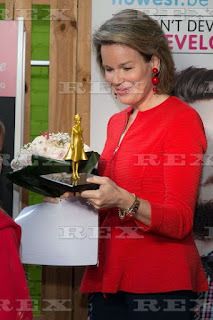 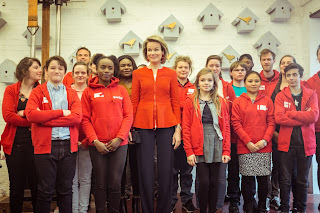 Queen Mathilde and other members of the Queen Mathilde Foundation visited the project "Radio Respect" organized by Quindo at The Studios in Kortrijk. 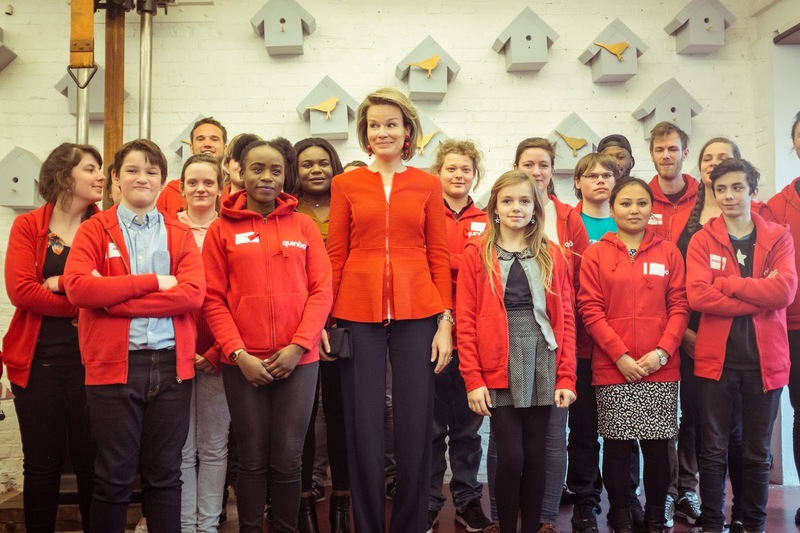 Quindo works with vulnerable young people to make them socially stronger. 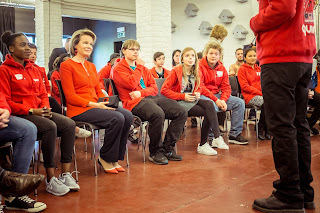 Together they work on media projects. 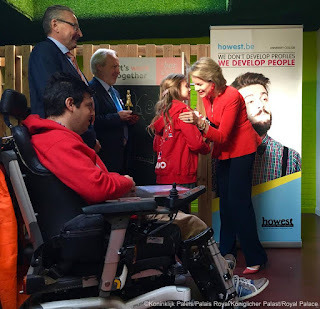 "Radio Respect" is one of the 16 Belgian organisations that have received financial support of the Queen Mathilde Foundation in 2015. 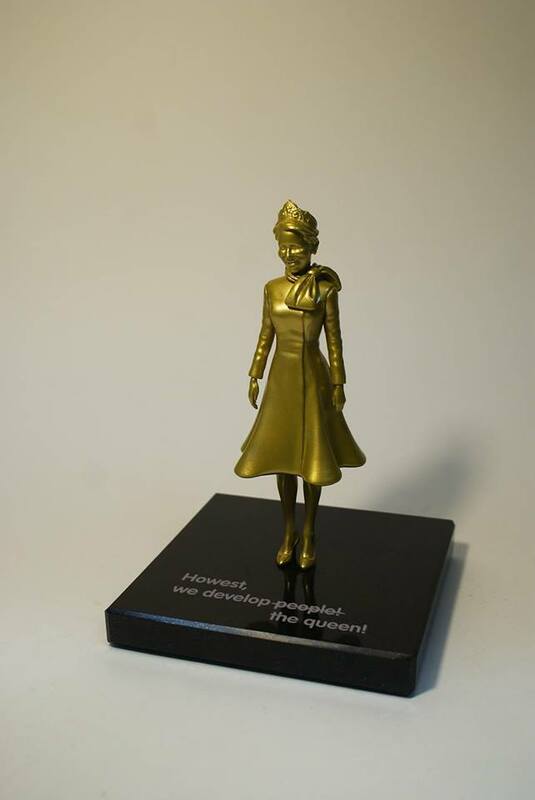 An original gift for Mathilde: a 3D design of herself, created by the design students of the Howest school.